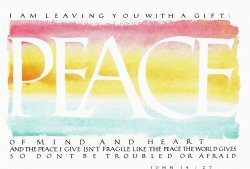 I am leaving you with a gift: Peace of mind and heart. 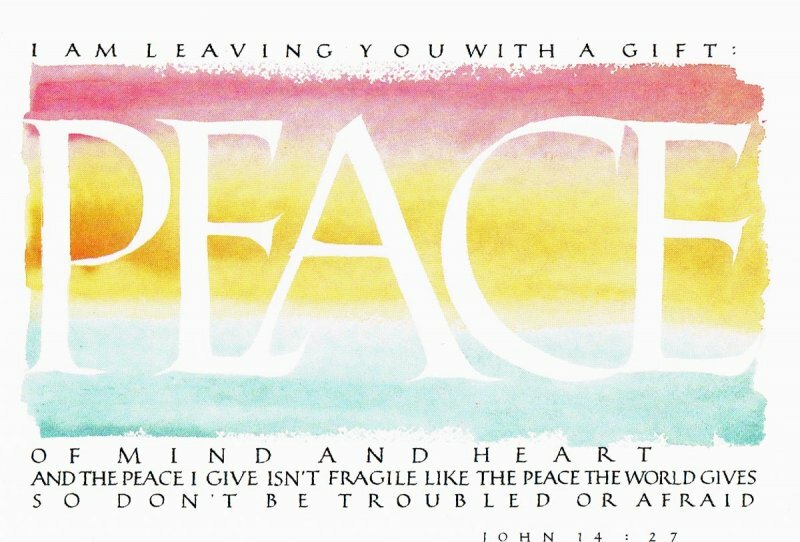 And the peace I give isn't fragile like the peace the world gives. So don't be troubled or afraid.